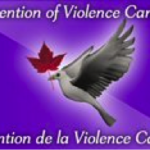 Prevention of Violence Canada-Prevention de la violence Canada (PVC) was established based on the World Health Organization’s landmark report, World Report on Violence and Health (WHO, 2002). Resolutions by the Ontario Public Health Association (OPHA, 2003) and the Canadian Public Health Association (CPHA, 2004) brought interested people together for the first National Town Hall Meeting in Ottawa on September 19, 2005 at the CPHA Conference. With the support of the Public Health Agency of Canada (PHAC) a coalition was formed with broad sector representation from public health associations, researchers, educators, practitioners, government, nongovernment organizations and interested citizens. A foundational committee was formed with representatives from over thirty organizations and interest areas. The World Health Organization ‘s Preventing violence: A guide to implementing the recommendations of the World report on violence and health (WHO, 2004) provides the framework for developing a national violence prevention strategic action plan for Canada. Two national meetings in 2007 supported by the PHAC provided opportunities to discuss the application of the WHO framework to Canada, the expertise that exists and the potential to be harnessed. Yearly Town Hall Meetings supported by the Canadian Public Health Association, the host Provincial Public Health Association and Prevention of Violence Canada-Prevention de la violence Canada, provide the opportunity to discuss progress, current violence prevention issues and guidance in moving forward. Prevention of Violence Canada- Prevention de la violence Canada became a member of the World Health Organization Violence Prevention Alliance in July 17, 2007 when the Co-Chairs attended the 3rd Milestones of a Global Campaign for Violence Prevention in Scotland with support of the Public Health Agency of Canada. POVC has been represented at Violence Prevention Alliance Meetings in Washington, DC (2008), Mexico 2008), (2010) and Cape Town South Africa, 2011. Prevention of Violence Canada-Prevention de la violence Canada is also an active member of the working group to develop an Assets Database for all members of the Global Violence Prevention Alliance. Current efforts of PoVC are focused on the development of a violence prevention charter process, strengthening and harnessing national expertise in violence prevention, advocating for a comprehensive World Health Assembly Resolution, developing a policy paper for the Canadian Public Health Association on Violence Prevention, working with the network of Provincial and Territorial Public Health Associations in Canada to establish the WHO recommendations is Canada, updating the family violence section of the Best Practices Portal for the Public Health Agency of Canada and well as undertaking ongoing advocacy in support of local, regional, provincial and federal violence prevention initiatives and healthy public policy.